Designing this 6 petal crochet flower was a simple mathematical equation. With a 12 stitch centre, petals in the second round occur in every second stitch, creating the 6 petals. This pattern by Teena Sutton Murphy. You are welcome to use this pattern for your own use. Do not copy this, instead post a link, thankyou! If you find this pattern useful, please let me know by posting a comment. If you have any problems following this pattern, please let me know so I can fix it. Thank you for this free pattern. I knitted and felted a dark brown bag. 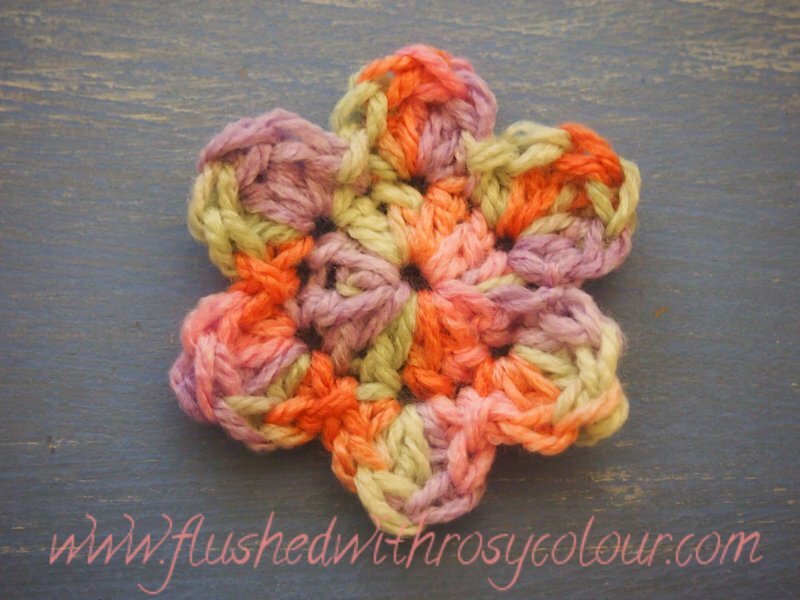 I want to crochet flowers to sew onto it. Thank you!